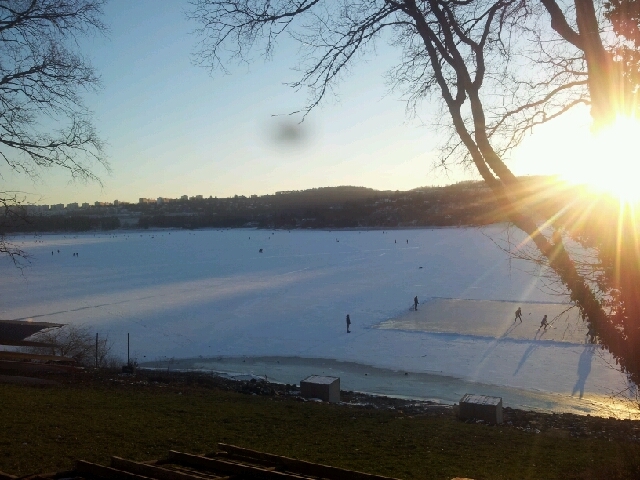 That is Czech rowers playing ice hockey, the number two sport (after football/soccer) in this country. Perfect black ice, unfortunately covered by a thin layer of powder snow. 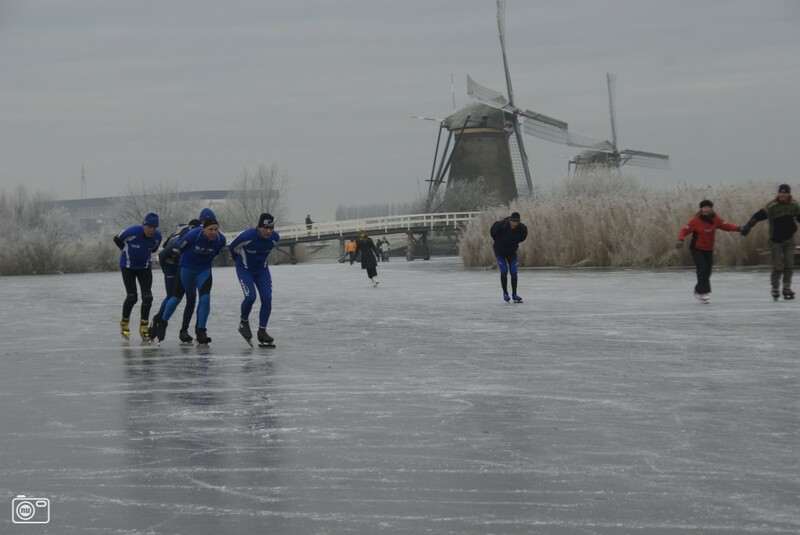 Global warming doesn’t help, but when the canals and lakes freeze in The Netherlands, it is great. 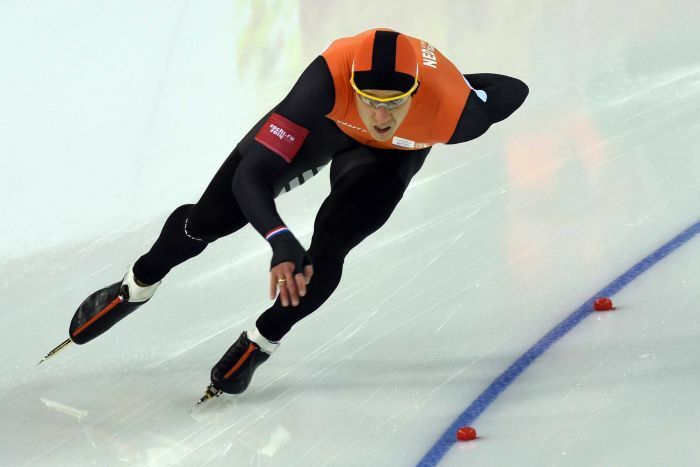 You can skate from village to village and spend the entire day on the ice, doing 50 to 100km. Locals set up food stalls on the ice. Back to the Czech Republic. Of course I had skating fever, so I couldn’t wait and we drove down to the lake immediately after breakfast. Put on the skates and skated away … bliss. It’s like rowing, you never unlearn it. Also the feeling is similar to rowing, you push and glide, push and glide, and you can get into a great rhythm. Spent the first 30 minutes wiping a crude 400m oval clean of snow. Locals quickly discovered it and started circling with me. A bit annoying that about one third of the people skated the oval in clockwise direction! Clockwise direction. That’s very dangerous. You bump into people. It’s like going down the highway in the wrong direction. The oval was OK but there was an entire lake to explore. 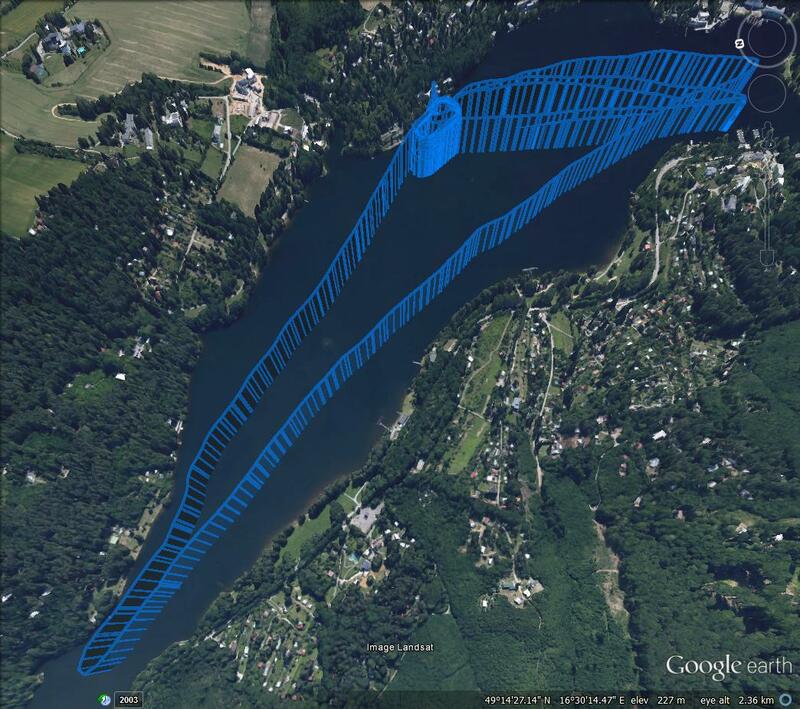 So I skated up to Rokle, then to Lodni Sporty, back to our rowing club. A few more loops on the oval, then to Lodni Sporty to greet some friends who were preparing a hockey field for a match at noon. Back to the club. I wanted to take pictures but I left the camera in the car. It was snowing lightly and the light wasn’t very beautiful. After 20km I stopped. I was worried a little that this would be too light training. It felt so effortlessly. Walking up the hill to the car, I noticed that my legs were tired anyway. Tomorrow again. Then temperatures will rise, so next weekend will probably not be safe to skate.